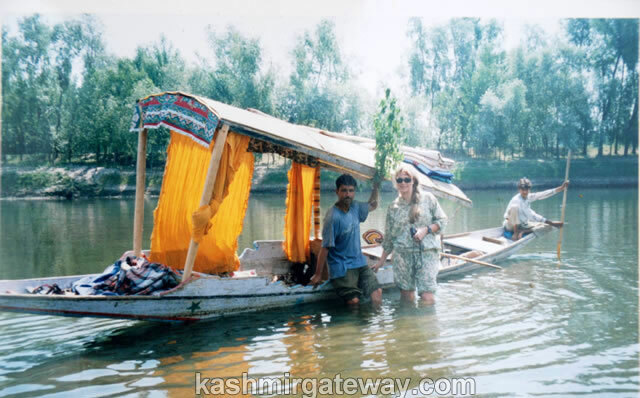 We offer some very interesting water trek tours by Gondola boats known as Shikaras with 3 oars man paddling the Shikara. These tracks are very relaxing but adventurous. Treks starts from Srinagar Dal Lake and Nigeen Lake (famous for Houseboats, via the famous Anchar Lake (bird watchers Paradise), via through the main river of the Vale of Kashmir (Downstream) known as Jehlem, then Manasbal Lake (famous for water lilies & Lotus flowers) and finally reaching Wular Lake (the Largest fresh water Lake in Asia) very famous for growing water chestnuts and local fish, en route visiting old part of Srinagar, typical farmer villages like Bandipora, Watlab, the famous Sufi Shrine at the bank of Wular Lake known as Baba Shukur -u – Din Sahib. Throughout in tented camps with sleeping bags, kitchen and cooking staff etc. One can return from any of the places by car. 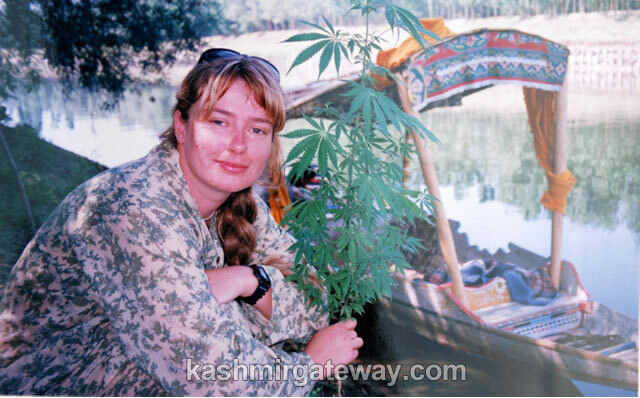 Also can come back same way (upstream) by same Shikara and route but needs additional nights. 1. 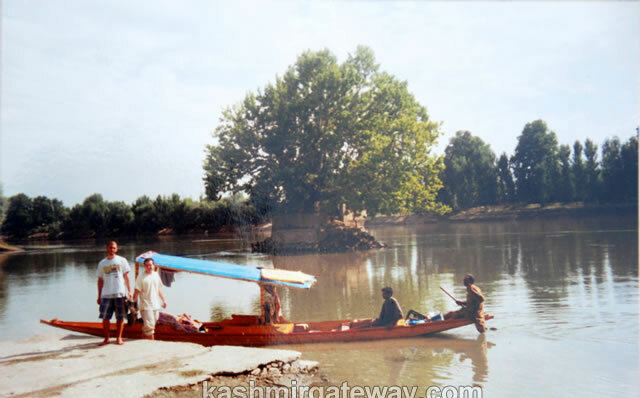 Srinagar – Anchar (a day trip). 2. Srinagar – Anchar – Manasbal (3 days trek). 3. Srinagar – Wullar Lake via Anchar & Manasbal Lakes (5 Days trek).